Last Chance: 2017 Bicycle Parking Survey Volunteers Needed! University Land Use Planning seeks volunteers to help conduct the 2017 Bike Parking Utilization Survey this fall. The survey is used internally to monitor and guide the management and development of new bike parking infrastructure. 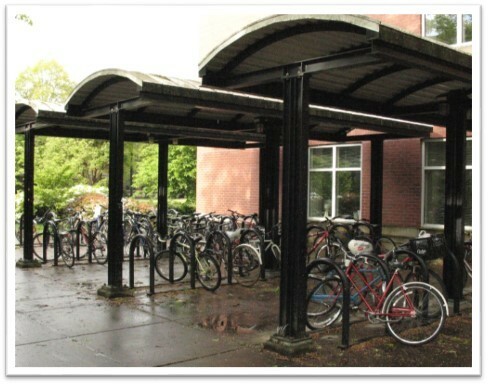 The results of the surveys are also reported publicly to the City of Corvallis, as OSU is required to demonstrate how the university meets demand for bike parking on campus. We need 12 volunteers on Tuesday, October 17th and Wednesday, October 18st from 9:30 am to 12 pm for the bike parking utilization survey. Volunteers will work in pairs, and walk a portion of campus to record the number of bicycles parked in and out of racks. While volunteers must be available for the entire time slot, they do not need to be available both days. The survey will be conducted rain or shine, so volunteers must be willing to work in all possible weather. Hot drinks and treats will be provided prior to surveying. Mandatory survey training will be conducted Wednesday, October 12th from 9:30am to 10:30am. If you are interested in participating or would like additional information, please contact Susan Padgett by Tuesday, October 10th, at susan.padgett@oregonstate.edu or 541-737-6911.